New dancer? We’ve got the answer! Why: Beginning level classes for teens and adults are hard to find! And as adorable as 6 year olds dressed in pink from head to toe are, you probably don’t consider them ideal classmates. Upon completion of this intensive, students will join BTI’s regular Sunday dance classes in July. There is a one-time $10 registration fee for new dance students. Structured just like musical theatre dance classes at NYC studios, students learn original Broadway choreography from all styles of musical theatre. This class is designed for busy theatre students to learn a combination of musical theatre dance, ballet technique, jazz, and multiple Broadway styles. In the performing business, auditions are your tests, and dance classes are where you study. Whether you are preparing for professional auditions in New York, college auditions, or your next show audition, BTI’s musical theatre dance program will get you to where you want to be. Tuition: 90 Minute Class – $20 per class. BTI’s beginning Musical Theatre Dance classes are designed for students who have prior dance training, but are relatively new to dance — typically with less than two years of continuous training, (outside of show rehearsals). The class requires prior knowledge of ballet, jazz, and musical theatre dance terminology, and includes full a ballet barre during warm up, jazz across the floor, and Broadway choreography. BTI’s intermediate/advanced Musical Theatre Dance classes move quickly and require a minimum of two years of ballet and jazz training within the last four years. If you are competent with an intermediate/advanced level ballet barre, double jazz turns, split leaps, and are able to pick up choreography quickly, BTI’s intermediate/advanced level classes will be a good fit for you. Students who have not previously studied ballet and jazz in a formal class setting (outside of show rehearsals), or who would like a refresher before joining the class, may schedule private lessons by emailing andrea@broadwaytrainingintensive.com. Why: It’s simple. The more training you have, the more employable you are. In addition to being a form of dance, tap is also a form of music, and an integral part of a musical theatre performer’s training. There are two major styles of tap: Broadway tap and rhythm tap. Both styles are used in Broadway shows and therefore both are taught in BTI classes. Students learn choreography by tap legends Gregory Hines, Savion Glover, Randy Skinner, and many more! Most BTI students take both Tap and Musical Theatre Dance, and we highly recommend it as the classes complement each other well and help build solid dance technique, coordination, strength, and musicality. Tuition: 60 Minute Class – $15 per class. 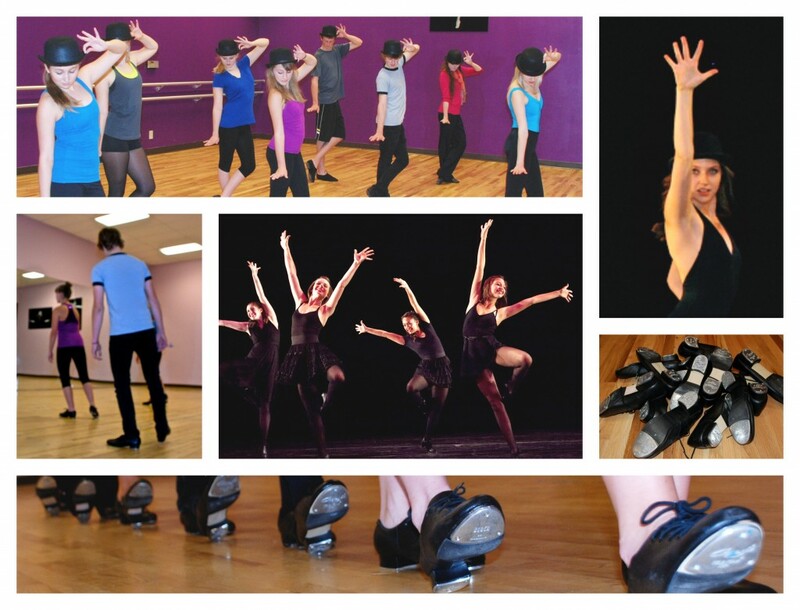 BTI’s beginning tap classes move quickly and are designed for students who have studied tap for less than 2 years, but does require prior training. If you are competent with original time steps (singles, doubles, and triples), drawbacks, buffalos, maxi fords, paradiddles, and cramp rolls, BTI’s beginning level tap classes will be a good fit for you. BTI’s intermediate/advanced tap classes move quickly and require a minimum of two years of training within the past four years. If you are competent with all of your time steps, crossing drawbacks, wings, syncopated tips and pullbacks, and can shuffle off to buffalo while turning, BTI’s intermediate/advanced level tap classes will be a good fit for you. Students who have not previously studied tap in a formal class setting (outside of show rehearsals), or who would like a refresher before joining the class, may schedule private lessons by emailing andrea@broadwaytrainingintensive.com. Age-Range: 14 and up. Students under the age of 14 are considered on a case-by-case basis. Tap: Athletic or dance clothing and tap shoes. Tap shoes are a percussive instrument, and for this particular class we recommend hard tap shoes for “rhythm tap”, rather than flexible jazz tap or high-heeled tap shoes. June 2019: New Student Intensive! When: Sundays 3:55 – 5:25 p.m. Please note: BTI’s Dance Class schedule will be adjusted slightly in July to account for new students from the June workshop. This all-level musical theatre dance class will split into two classes — beginning/intermediate and intermediate/advanced. Click on the “Summer Schedule – July & August” tab above for details. When: Sundays 2:50 – 3:50 p.m. When: Sundays 5:30 – 6:30 p.m. When: Sundays 2:05 – 3:35 p.m. When: Sundays 5:00 – 6:30 p.m. When: Sundays 1:00 – 2:00 p.m. When: Sundays 3:55 – 4:55 p.m.
Dance classes are held year-round. BTI typically does not offer dance classes during May and December. Questions: If you have any questions, please e-mail andrea@broadwaytrainingintensive.com. We are happy to help! Private Lessons: Students who have not previously studied dance in a formal class setting (outside of show rehearsals), would like a refresher before joining classes, or are interested in getting more training to progress faster, may email andrea@broadwaytrainingintensive.com. Tuition Policy: After your initial online registration, tuition for BTI Dance Classes is due at the beginning of the first class of each month, and is payable via cash or check. If a student is absent that date, payment is due in full within one week. It may be mailed to the BTI office, or paid at class on the following Sunday. BTI is unable to prorate monthly tuition or allow drop-ins for dance classes, but does offer a $5 discount for each day of classes to help offset any classes that students may be unable to attend. If a student needs to request permission to take a temporary leave from dance classes, they must do so in writing via email, no less than 15 days prior to the first date in question. Conflicts must span 4 or more consecutive Sundays, and be included in the list below. Each instance will be reviewed individually. If a student is unable to attend a pre-paid dance class, 48 hours advance notice is requested.